First Families of Hamilton County is the lineage society that is open to descendants of early pioneers who were born or resided in Hamillton County before 1821. 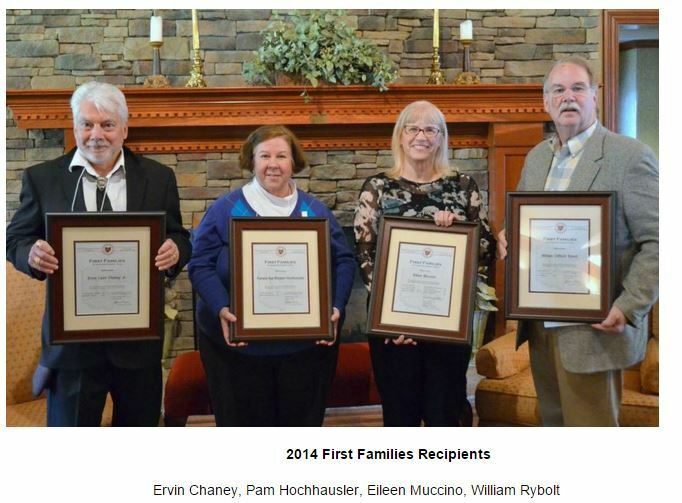 First Families was established as a bicentennial tribute to Cincinnati's 200th birthday and to celebrate the 15th anniversary of the Hamilton County Genealogical Society's charter as a chapter of the Ohio Genealogical Society. Membership consists of nearly 450 descendants who have documented over 1000 pioneer ancestors. The Northwest Territory was established in July 1787. 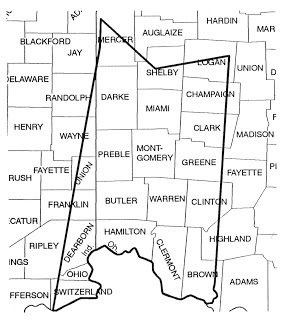 Hamilton County became its second county, organized in 1790. The first permanent settlers arrived in 1788 at the mouth of the Little Miami River on the Ohio River. From 1790 to 1803, the boundaries of the county changed ten times. At one time, the county stretched as far north as Canada and westward into Indiana. After Ohio became the 17th state in 1803, there was only one further small boundary change in 1808. If your ancestors lived within Hamilton County borders between 1790 and 1820, they are eligible for induction into First Families of Hamilton County. There is an all-name index for the First Families applications approved by the lineage committee. Search this index for any family names and it will show you the file number for the application containing that name. The Cincinnati History Library and Archives (CHLA) has all of the approved applications on file. Contact CHLA to see the original application. If you need the help of a local researcher see Research Services. Downs, Randolph C., Evolution of Ohio County Boundaries, Ohio Archeological and Historical Publ. #36 1927, Reprinted 1970.